“Stars and Watercarriers” is the fourth in our series of free bike training videos that are perfect for turbo training workouts. A concise and quite majestic chronicle of the Giro. Directed by danish film maker Jørgen Leth, Stars and Watercarriers tells the story of the 1973 Giro d’Italia with the same aesthetically pleasing style that won Jørgen Leth such acclaim for his other classic cycling film “A Sunday in Hell“. Session Goal: The goal of this session is to improve pedalling technique. Set up: Place a chair or stool on either side of your turbo trainer to rest the non working leg. As usual get a towel and water bottle set up before you start. Session Goal: The goal of this session is to improve pedalling efficiency through increasing cadence whilst maintaining good pedalling form. Set up: You’ll need a cadence enabled bike computer for this session. As usual get a towel and water bottle set up before you start. 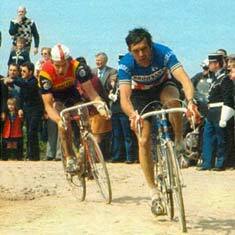 “A Sunday in Hell” tells the story of Paris-Roubaix cycling’s most fabled race. “Mark Cavendish Human Missile” documents Cav’s struggles in 2009 and his subsequent redemption at the 2010 Tour de France. 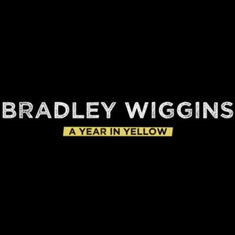 “Bradley Wiggins a Year in Yellow” follows Bradley Wiggins through an historic year as he wins the Tour de France and Olympic Gold. 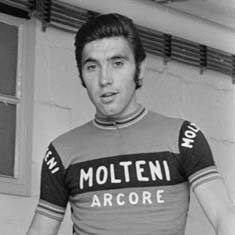 Stars and Water Carriers follows the 1973 Giro d’Italia as Eddy Merckx races through the Italian Alps in search of his 4th Maglia Rosa. 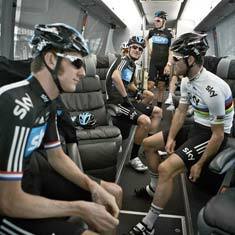 “British Cycling Road to Glory” is a five-part documentary following an historic year for British Cycling and Team Sky. “Road to Paris” follows Lance Armstrong as he pursues his 3rd Tour de France victory in 2001. Take out your anger with this tough Threshold session! 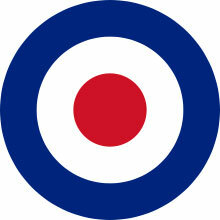 “Bradley Wiggins a Very British Champion” follows the self styled Kid from Kilburn to Tour de France victory. 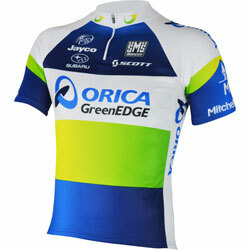 “Aussies Abroad Orica Green EDGE” tells the story of how Australia’s dream came true; the birth of it’s first World Tour cycling team.